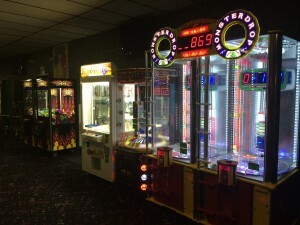 Skating rinks and arcades are a classic combination, like peanut butter and jelly, Bogie and Bacall, or baseball and hotdogs. Take a break from skating our spacious rink to the tunes of a live DJ and head over to our arcade for even more fun and excitement. 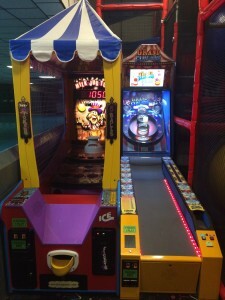 Our Fort Collins arcade features 20 different redemption and arcade games. Try your hand at the crane machine or win some tickets to spend at our prize counter! You can spend your arcade winnings on everything from giant plushies, Nerf guns, and speakers to candy, toys, dolls, and glow accessories! 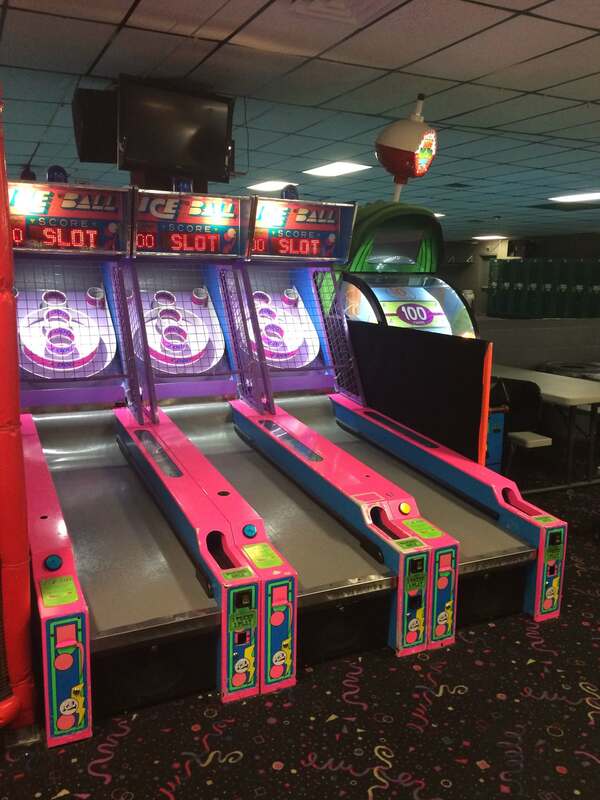 All of our birthday party packages include 12 tokens per guest, and we now offer our arcade as an activity which you can add to your party package as well to get even more tokens. 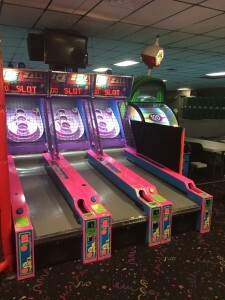 Make your birthday party, team party, corporate outing, or other group event even more memorable with some friendly competition! Visit our Parties page to navigate to the type of event you’re planning, and explore our kids party packages and group event options. We’ve been hosting all kinds of public and private events in Fort Collins for years, so if you have questions, just give us a call at 970-482-0497 to speak with one of our friendly staff members.